The latest installment in the Black Ops series is finally available for Xbox One at US$59.99 (Standard and Digital Standard Edition), US$99.99 (Digital Deluxe Edition), and US$129.99 (Digital Deluxe Enhanced Edition). Call of Duty: Black Ops 4 comes with 14 multiplayer maps, a battle royale mode, and three new Zombies adventures. After a rather long wait, Call of Duty: Black Ops 4 is now finally available, and — not so great for Windows PC gamers — it comes as an Xbox One exclusive, at least for the time being. 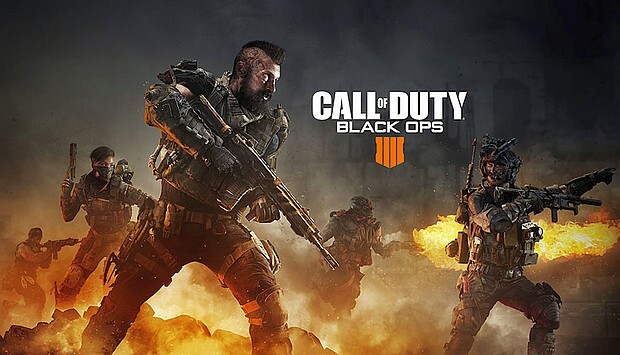 According to its makers, this title "represents a landmark for the series, delivering the most tactical multiplayer modes in a Black Ops game, an unprecedented three Zombies adventures at launch, and the all-new battle royale mode Blackout." Are you one of the early adopters of the game? Call of Duty: Black Ops 4 seems to have all the ingredients a shooter needs these days, but only those who jump in can decide if this title lives up to the hype or not. If you can spare a few minutes, feel free to share your thoughts about the game with the rest of us in the comments.